(Newport, Oregon) – The central Oregon coast town of Newport is a hub of tourism and commerce activity, and it's about to get busier. Its South Beach district is already brimming with activities in some sections, while others are a bit on the sleepy side. However, more of this rural grassland by the bay is has been prettied up in recent years – and some impressive changes are in its future. Over the past two years, some additions have already enhanced the scenic qualities of South Beach, after a multi-use paved pathway was installed and a few other traffic and street changes. 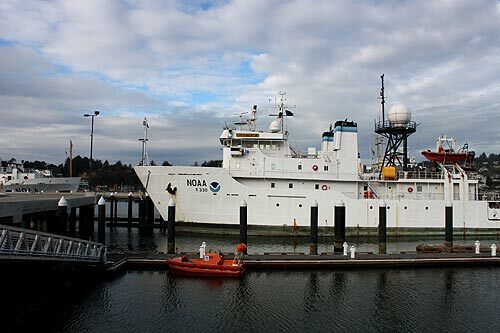 Coming up, however, are some eye-openers: these include an expansion of the Hatfield Marine Science Center, a satellite facility of OMSI coming in, and other possible developments. 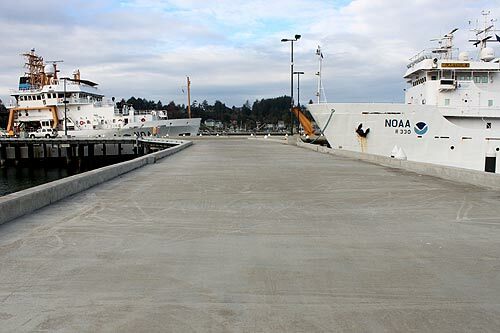 Derrick Tokos, Community Development Director for the City of Newport, said that when NOAA came into Newport a few years back, some layout improvements were going to be needed over the years. For the average visitor, the pathway will be the eye-catcher. 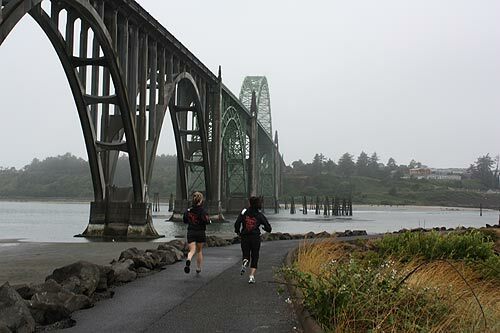 It runs about a mile, starting at the NOAA offices at the water's edge, going under the Yaquina Bay Bridge and down to the south jetty. It's about ten feet wide and features LED lighting, and utility lines have been put underground. Other changes, such as a roundabout and wider roadways, facilitated clearer movement of traffic and helped alleviate some congestion on heavy fishing days when trucks with boats can clog the area. Aside from making the area a little more attractive, Newport also realigned some of the streets in this rural section so they made more sense, in anticipation of other major businesses, research facilities and maybe more marine attractions. Rogue Brewery is one such example of large-scale expansions that have already taken place in South Beach. The Hatfield and Oregon State University are looking at major growth in the area, planning to construct a new 100,000 sq. ft. building for research and educational use, likely by 2017. Tokos said they are looking to up student enrollment from 50 to 500 over the next 10 years. Tokos said the City of Newport and Newport Urban Renewal Agency are designing additional multi-use path and street improvements to complement the work that was recently completed. This will include linkages to Oregon Coast Aquarium and to OMSI’s Coastal Discovery Center, which will open in the spring of 2016. Tokos said other big improvements are coming down the road to the northern end of Newport. Agate Beach Wayside next to Yaquina Head will eventually get restrooms, showers, a sidewalk and a boardwalk. 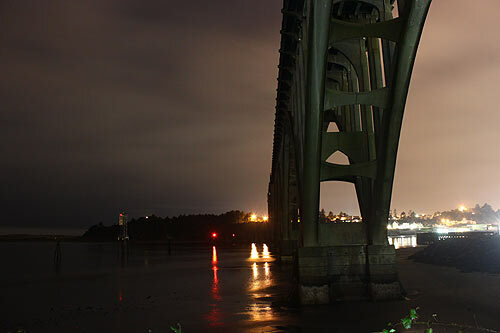 More on the area at the Newport, Oregon Virtual Tour, Map.